The index finger on my left hand is shorter now than it was yesterday noon. I was splitting fire wood on my powered wood splitter that I have owned since 1981. 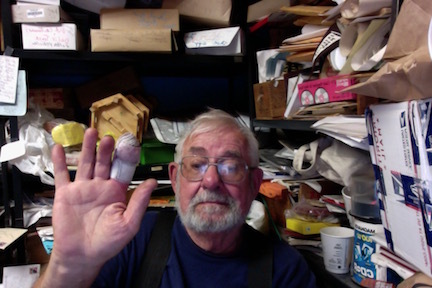 I reached out when I reacted to a piece of fire wood was not doing what it should have been doing and I smashed the end of the index finger, just that quick. The surgeon at the hospital on duty was a hand specialist. I lost about 3/8th of an inch of the finger (perhaps 1/2). Nicely sewed - at least looks better than it did smashed. (pain pills for a few days and a healling time of more. Think of all the good years you got out of it. My best wishes for it to heal quickly. I understand. It can happen very fast and unexpectedly. Fortunately, mine was sewn back and looks good as before, but sense of touch has changed a bit. Here's hoping it will heal completely with no more complications. Darel glad I got to shake your entire hand at home coming. I feel your pain , I tried to shorten four on my left hand with a table saw. If not for a hand specialist it would be harder to type this message. Hope you heal fast and make a full recovery except for that 3/8 inch. Wood splitter accidents happen pretty regularly, but usually it's the newbies who get hurt. The old veterans of the woods I worked with doing wood drilled into me the safety procedures I still do today automatically. Most important rule: when the knife is moving, you hand(s)always stay opposite its movement. If the knife if moving forward, you hand is behind it, if retracting in front of it. Also, the person handling the wood is the guy running the ram. Heal up, and teach someone else to avoid this type of injury. Darel sorry to hear about your finger. Working with automated machinery for 30 years I've had my share and don't wish it on anyone. Once healed I bet the crew on this forum could come up with a prosthetic made out of an old T part. Maybe a u-joint pin and a the top of a grease cup, could screw on so it won't fall off. Sorry to see & hear that. Glad the rest of you is still with us. Not certain what to say with out it sounding unsympathetic. 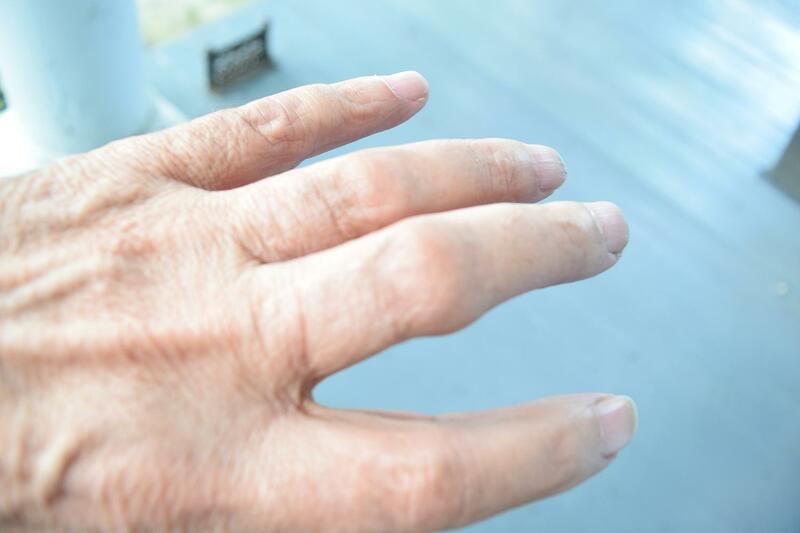 I grew-up around gentleman with missing digits, three fingers, a finger and a thumb. Short fingers. Fingers with out finger nails. I even have a hand that will not make a full fist because of broken bones and pins not seating properly from an jumped chain. Anyone who grew up exposed to open gears, crank shafts, open chains, balers, binders, and presses. Replaced crawler tracks, miss judged a prop...have the scars to show that they are aware of what it means to speak mechanic. Good Grief Darel !!! Life lately is whittling you down piece by piece. At least your Ticker is working better. Do be careful out there. Now you'll have to go back to using a hanky! Wow! Sorry to hear about that. Being a locksmith before I retired this reminds me how I almost cut the end of my finger off ( 3/4 ") using a key machine. The problem was I had gotten lax cutting keys and not watching what I was doing. After years of being around and using all kinds of power tools I couldn't believe I let that happen. Mashed fingers and so on so this was a new one on me. Getting older has made me more careful , most of the time anyway! My left thumb is still the same length as it would ever be, but it is pointed, because I lopped the right side off cutting kindling wood when I was seven. it didn't quite get to the bone, so was a deep flesh wound only. The doctor said the missing piece was not likely to take if an attempt was made to do so. Good job that was the case, because my sister had fed the bit to the cat!!!! OHS recommended method. Place the hatchet blade on the timber and lower both to the chopping block. Do NOT hold the timber on the block and strike it with the hatchet. Darrel, subsequent finger injuries, all on the left holding hand, led me to devise a great way of protecting same. Craft stores/ haberdasheries stock a range of buttons in a range of sizes. The plastic tubes they are bought in come in various sizes. Find one the size of your digit, cut it off a bit over the length of the finger, and you have an ideal protector. The lid can be left in place when doing dirty work, taken off to air the wound at other times. The wound requires no dressing when so protected. Thursday. Have pain pills and extra bandages. I am not ready to show the finger with out a bandage. Just changed the bandage. It is now 8:30 p.m. Central day light saving time. You are NOT supposed to do that! Glad it wasn't worse. Darel! What the heck? Like Sherman Potter said one time "That too shall pass." In his 40's, a big chunk of concrete wanted to come into the skid loader with my dad and he got bit trying to shoosh it out. I have a picture of dad on my door (in his 70's) after I asked him to give me the finger. That crooked finger makes me chuckle. Sorry for the memories. Take care of that finger and you'll be back to yourself in no time. Maw and I need to visit the "curmudgeon" (from a yelp or some kind of travel site lipping off about you) in Excelsior. I'm so sorry for your accident. And I'm glad you are on the mend. I'll be praying for a speedy recovery. Lost my last joint to a buffing wheel accident. Doc took off end of finger. Ask nurse what they were going to do with my finger and she gave it to me in a small jar. Went to get pain pills and young girl behind counter asked if I lost my finger when she saw bandage. Told her No it was in my pocket and did she want to see it. She yelled no and almost died. Still have it in the jar preserved. I had planned to do some serious metal spinning when a professional restorer told me about a brass fabrication shop he visited. He mentioned that many of the brass spinners were missing fingers. I have limited my spinning endeavors with that in mind. Richard E: I did business with a metal spinning company for about a 20 year period. The owner of the business, Hannes, had around 6 or 7 fingers total. There were usually about a dozen employees working out in the shop. The average number of fingers per employee was probably around 8. Whenever I visited the business, Hannes would proudly show me around to see the latest projects they were working on. All I could see were all those guys with less than a full set of fingers. And a little voice always screamed inside me, "Get me out of here before the next accident happens." This forum post makes me wonder what happened on Fords assembly and and shops when T's were in their hey day. I have a feeling accidents happened more than we think seeing all those open flapping flat belts, lathes, saws and etc without guards! There was a blade sharpening shop in Harlingen, TX when I was kid in the 1970's that was opened right after WW2. The owner sat on a stool, right in front of this enormous spinning sharpening wheel that looked like it could probably cut you right in half. My grandfather and dad would take me in there and he'd sharpen anything...and quick....scary how fast he moved, right next to that gigantic blade. The thing was though...he was missing BOTH LEGS! Being a kid, I was just sure that he'd slipped up one day and that big blade had just gone right through his legs like butter. It made perfect sense to me and I was always in awe of the whole situation. The shop closed when the guy died...sometime before I graduated high school. I asked my dad about the shop a few years ago and the man who had his legs chopped off by the gigantic blade. He just laughed. Turns out the guy lost his legs in the war and set up the shop as a way to make a living doing something he could do while seated.